Should the U.S. go on Daylight Saving Time all year? It’s the weekend many in the U.S. love to hate: As we turn our clocks forward one hour for Daylight Saving Time (DST), we lose an hour of sleep. Is it time to go on DST all year-round? Research shows there are five reasons why life would be better if it were always DST, writes Steve Calandrillo, a professor of law at the University of Washington, on the website The Conversation. Lives would be saved. A study by Rutgers University researchers says 343 lives per year could be saved by moving to year-round DST. More light in the evening would also decrease car crashes. The evening rush hour is two times as deadly as the morning. 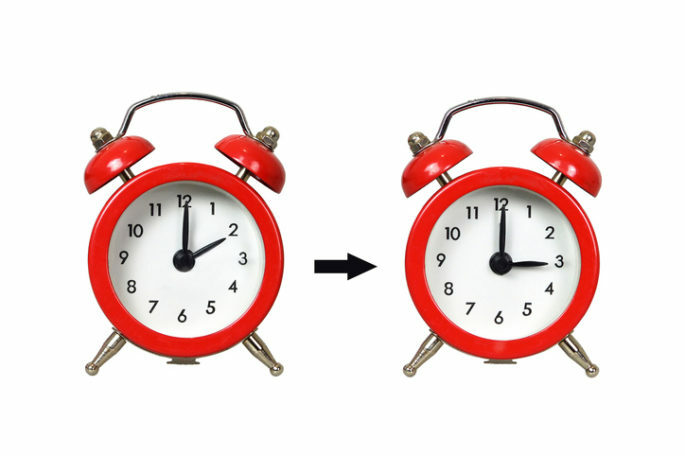 Avoiding clock changes improves sleep. The clock change is bad for health. Heart attacks increase 24% in the week after the change to DST. Recreation flourishes in the sun. People exercise more in the evening when there’s daylight. Some places in the U.S. don’t change their clocks twice a year: Arizona, Hawaii, and the territories American Samoa, Guam, Northern Mariana Islands, Puerto Rico and the U.S. Virgin Islands. Legislation has been introduced in three states (California, Florida and Washington) to go on DST year-round. Calandrillo calls on the U.S. Congress to make the move. Why does the switch to DST on the second Sunday of March hit many of us so hard? Our bodies operate on an internal clock that nature sets at 24 to 25 hours per cycle. So when we take one hour away in March, many people in our already sleep-deprived society really feel it. The effect on workplace safety is real. A University of Columbia study on traffic crashes and workplace incidents found there was a 5% to 7% increase in fatalities during the three days following the switch to DST. Sleep experts advise employers, particularly those in safety-sensitive industries, to educate their employees about sleep and the effects of switching to DST. What can you do to feel better rested on the first few days after DST takes effect? Go to bed earlier the night before the change (Saturday night). It’s easier to make up the sleep time by going to bed earlier rather than sleeping later. Do you think the U.S. should go on DST permanently? Let us know in the comments.